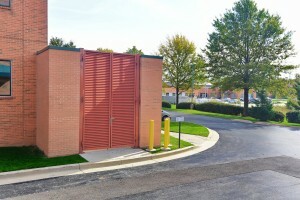 What Should You Ask a Custom Louver Contractor? Before starting with a custom louver contractor, there are a few questions you will want to ask. Choosing a custom louver contractor is a big decision, as the investment you make in custom louvers will need to serve you for years to come. Before you sign on the dotted line and make a deposit on your custom louvers, you should do your research into the company and spend time with them to make sure you get things right. Before you hire a custom louver contractor, you need to make sure that you are doing business with someone who has been around for at least a few years. You should research not only the current name of the business, but also the name of the owner to see if they have owned similar businesses before. Also, take the time to research the company on trustworthy websites like Angie’s List. Do They Have the Proper Licensing? Any custom louver contractor that you work with should have the proper licensing for the state that they are operating in. You should never even consider partnering with a contractor that does not have the right licensing already in place. Even if they offer you a great discount for the work, you will not have nearly as much legal recourse if they do damage to your property or the fence falls apart right after they leave. Will They Deal with Your Permits and Utility Company? A seasoned custom louver contractor should be willing to help guide you through the permit process. It can be confusing determining what permits you need, and the help that you can get from an experienced contractor can be incredibly valuable. Beyond getting the permits secured, you should also ensure that they will contact your utility company to confirm the location of buried lines before they start digging. A contractor worth the price tag will be able to get copies of your home survey records to see where lines are and design a custom louver that won’t disrupt them. A contractor should always have a clear, written contract that you both sign before work begins. Without a clear contract, there is no protection for you or for them. The contract should include estimates for labor and materials, not just one number. This entry was posted on Friday, January 19th, 2018	at 2:19 pm	. You can follow any responses to this entry through the RSS 2.0 feed. Both comments and pings are currently closed.